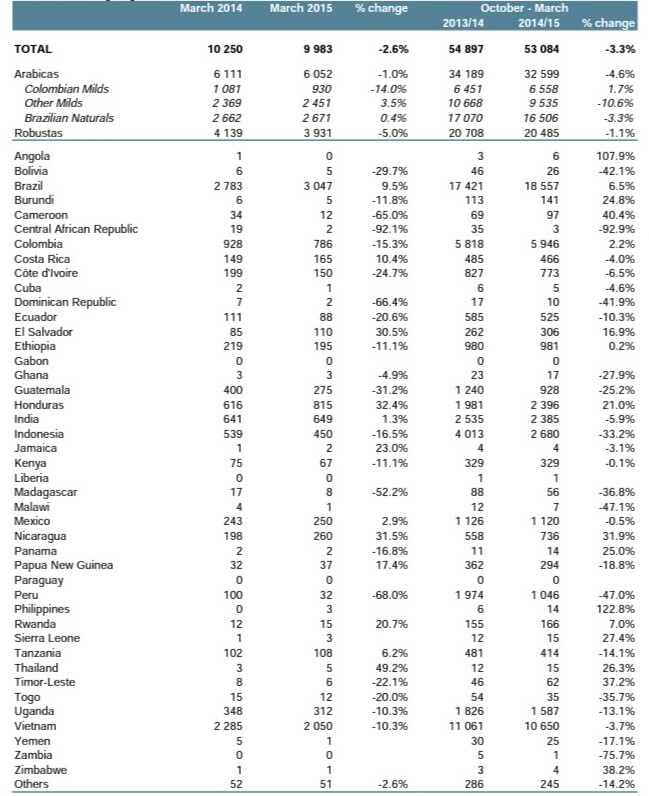 World coffee exports were down 2.6 percent in March, according to ICO monthly figures. Coffee exports in all forms to all destinations amounted to 9.98 million bags in March 2015, compared with 10.25 million bags in March 2014. Exports of Arabicas were down 1 percent to 6.052 milion bags. 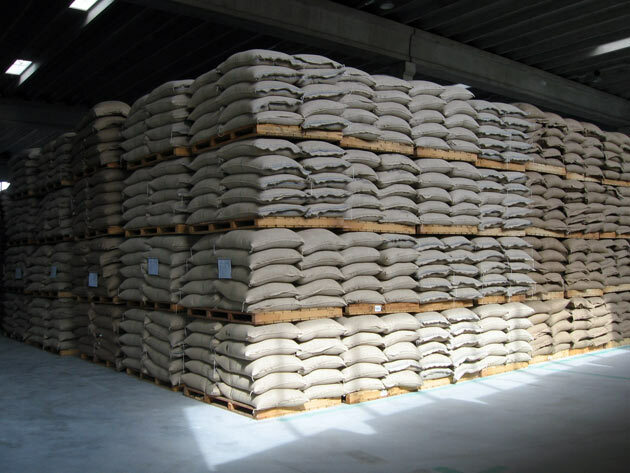 Shipments of Robusta 3.931 fell 5 percent to 3.931 million bags. Exports of Other Milds and Brazilian Naturals were up 3.5 percent on year, while Colombian Milds recorded a sharp fall (-14 percent) mainly due to a truck drivers’ strike in Colombia. Robusta exports were also down 5 percent on year. Exports during the first half of coffee year 2014-15 (October-March) amounted to 53.084 million bags, or a 3.3 percent decrease. Shipments of Colombian Milds were up 1.7 percent, while exports of Other Milds, Brazilian Naturals and Robustas were down 10.6, 3.3, 1.1 percent respectively.